Dr. Kyriakides' major technical interests are in the mechanics of solids, structures and materials, with an emphasis on instability at both the macro (structural) and micro (material) levels. His work is motivated by practical problems and usually involves combined experimental, analytical and numerical efforts. He has published more than 200 technical articles and reports, has co-authored one book, co-edited five books, and has lectured extensively both nationally and internationally. 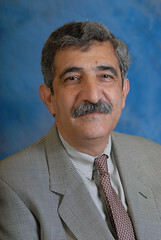 He was a 1997 ASME Fellow and in 2007 he was elected into the National Academy of Engineering. He has served on the Cockrell School of Engineering faculty since 1980.